There's a lot of monkey business going on lately, little snippets of projects floating around, things I mean to do, or write about here. At the end of the day Saipua has always been slightly (and delightfully!) disheveled. I suppose it's a good word to describe our aesthetic, and also our style of working. I prefer a wild looseness over tightly designed florals - and because we are such a small business we have the freedom to add new soaps and items to our shop the moment we are moved by something (Enter Dragon's Blood). Not to mention the constant dishevel of my personal life, my apartment and my refrigerator. I used to think I was organized (boasting my organization skills in job interviews!) 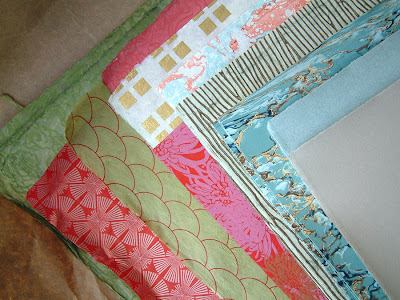 but alas in the end I really just fancy the idea of getting organized. Chaos is much more fun. So, I ran into Manhattan a few days ago to visit our paper supply for a few new papers to use for the upcoming valentines Dragon's Blood. I was also scoping out some possible packaging ideas for a new BLACK SOAP (which we've been dying to do) and also for a spring Parsley soap and how about a goat milk soap scented with a blend of Tangello and Almond? Whoa. Very good for our collection of old books that sit around collecting dust. Then we buzzed over to Russ and Daughters for some of the most seductive Scottish nova. 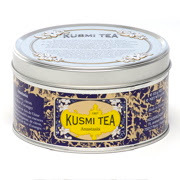 Speaking of luxe, while there I discovered they sell Kusmi Tea...a Parisian co. that has some of the best black teas I've ever tasted not to mention ridiculously enticing packaging. 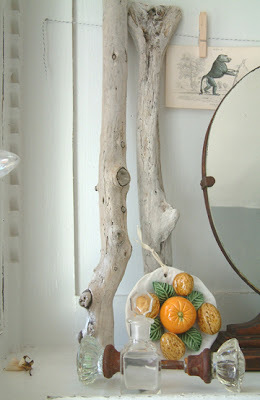 Last but not least I wanted to share one of my new favorite blogs; Pam from Ink&Peat writes a fantastic blog called HouseMartin which highlights all the most beautiful things in the realm of unique design and florals. Yesterday she covered a new book by Clinton Friedman, a commercial nature photographer whose images are completely engrossing. I am up for the tangello and almond blend....with goats milk for creamy smoothness on dry skin. I'm ready to start testing now! yes, the idea of getting organized is seductive. but the reality is bland. agree absolutely.